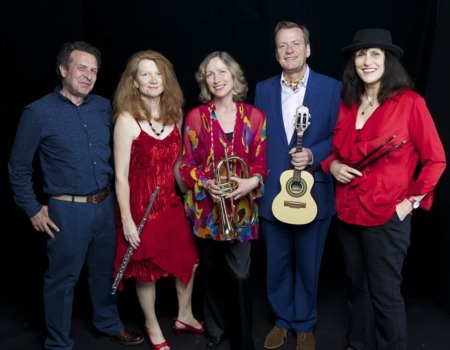 Light-hearted, lively and engaging, Chico Chica perform AN EVENING OF LATIN JAZZ CABARET, a thrilling mix of original songs and spoken word on subjects as diverse as the art market, volcanoes, marriage and even online dating! Five musical personalities come alive in this set of perfectly shaped melodies and life-affirming latin grooves. Since their formation in 2010, Chico Chica have diligently followed a distinct and explorative path. Their first album, Mélangerie, was released in 2011, followed by frequent and extensive tours of the British Isles. In 2013, they released Ali's Song in aid of the Médecins Sans Frontières Syria Crisis Appeal. The band have entertained audiences all over the UK including prominent London venues. They are currently recording their second album.